DJ 20 years ago on Technics, I decided to re-equip myself to stop letting my vinyls sleep. Curiously circumspect on the new turntables since, I asked myself the question of buying used Technics. 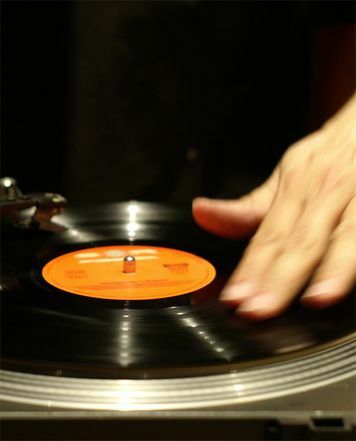 After thinking: Technics second-hand is expensive because the bobos buy a turntable to turn their 45T bought on Sunday at empty granaries, difficult to trust in turntables that for some are sold / purchased since 20 years and at least 8 years. In short rather than making the aristo of platinum, I decided to take this RP7000 MK2. This platinum is ... perfect. Built like a tank, beautiful finishes, ergonomics top, it turns like a clock and all that for 400 ¤ per platinum. It's well above a Technics, I'm amazed, I added two Ortofon Scratch MKII + Rane seventy two, beautiful! ... It's the same here. For a few years now, I own the Audio Technica AT-LP120-USB, which costs almost half of the Reloop RP 7000 MK2 I have just purchased. 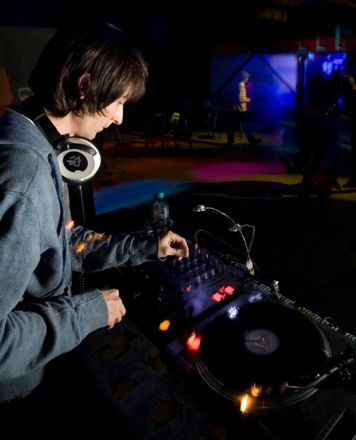 In principle, there was nothing wrong with the Audio Technica, except for little things that disturbed me more and more over time (eg the Tone Arm Lift had no damping and hit the plate with full force if you did not push the lever until it touched down Also, the engine was in my opinion a bit weak on the chest). I am not a professional DJ and use the reloop only for my private LP collection. 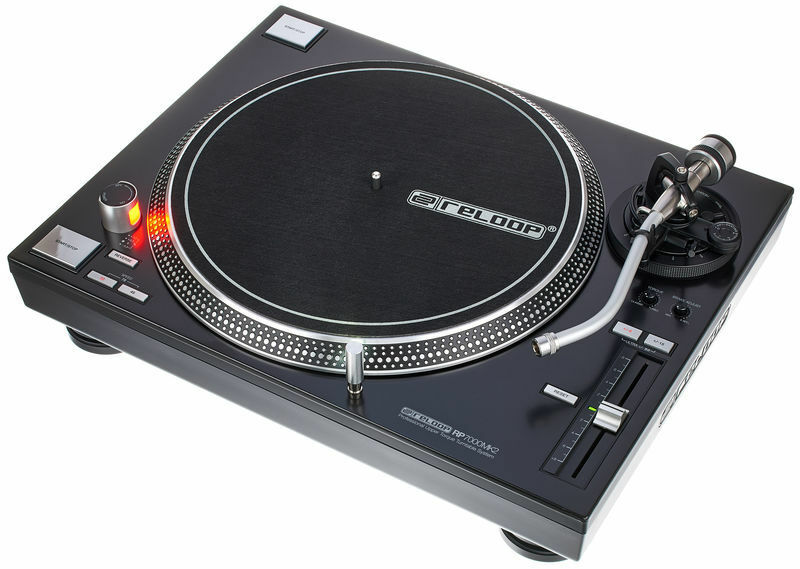 As a fan of direct-drive turntables (because low maintenance), I'm very excited about the Reloop. It is solidly built, has a decent weight, the materials feel high quality. The built-in switchable preamp makes the player more flexible, if you switch to a system that does not have a separate phono input. An attached plate brush for dust removal on the LP leaves the turntable cold, because the strong engine rotates unimpressed without loss of speed (which was not the case with the Audio Technica). By the appropriate knob can namely the "pulling force" of the engine increase (not to be confused with the rotational speed), although the controller for my sausage fingers is a bit small. Also, the engine turns completely noiseless, which was also the case with the Audio Technica (admittedly only slightly audible), which, however, let shoot higher self-vibrations of the Audio Technica. Thus, the Reloop (thanks to the heavier plate) seems to be quieter overall. Maybe I'm just imagining it, but the sound is much better compared to its predecessor (I use the same pickup system, Ortofon 2M Red). According to experts, an overall lower-vibration turntable is crucial for the sound. Also, the Tonarmlift is worlds better. The needle is buttery soft on the beloved plates. The weight can be adjusted precisely. With my needle, 1.8 to 2.0 grams are recommended. When weighing with a tonearm I found that the set on the dial of the Tonarmgegengewichts 1.8 grams were hit exactly. The attachable needle lighting is a good idea. In the predecessor, this was permanently installed. I find it difficult to replace it when the lamp gives up the ghost. The feet of the player are built as valuable as the rest of the player. They have a good cushioning and are non-slip, but they are still easy to turn in order to orient the player. With the predecessor, this was only possible to a limited extent, because the rubberized feet stuck to the wooden surface of my cupboard and you had to be afraid when turning that either the lacquer of the cabinet or the rubber feet demolish themselves. 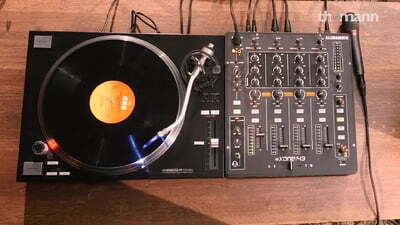 Since I - as I said - the turntable "only" to listen to music, a device such as pitch control for me superfluous, for a professional DJ but probably a must. For superfluous I hold the second start / stop button. Instead of the back button I would rather have seen a compartment for a single puck (for 45) and a single puck itself. That is not included. Also, a pickup system is not included. But that's what serious record lovers prefer to choose for themselves. A USB port does not have the Reloop. I think that's not necessary. I digitize LP's always via RCA cable from the amplifier to the PC. All in all, I can say that I am very satisfied with the Reloop RP 7000 MK2. Compared to the Audio Technica AT-LP120 USB are worlds. The double price is justified in my opinion. ID: 424099 © 1996–2019 Thomann GmbH Thomann loves you, because you rock!